The latest analysis of Kepler Space Telescope data has revealed the discovery of 833 new candidate planets; ten of these candidates are less than twice the size of Earth and orbit in their sun’s habitable zone. Scientists from around the world are gathered this week at NASA’s Ames Research Center in Moffett Field, California, for the second Kepler Science Conference, where they will discuss the latest findings resulting from the analysis of Kepler Space Telescope data. From the first three years of Kepler data, more than 3,500 potential worlds have emerged. Since the last update in January, the number of planet candidates identified by Kepler increased by 29 percent and now totals 3,538. Analysis led by Jason Rowe, research scientist at the SETI Institute in Mountain View, California, determined that the largest increase of 78 percent was found in the category of Earth-sized planets, based on observations conducted from May 2009 to March 2012. Rowe’s findings support the observed trend that smaller planets are more common. 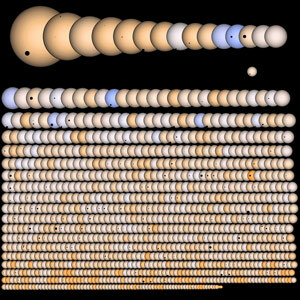 An independent statistical analysis of nearly all four years of Kepler data suggests that one in five stars like the sun is home to a planet up to twice the size of Earth, orbiting in a temperate environment. 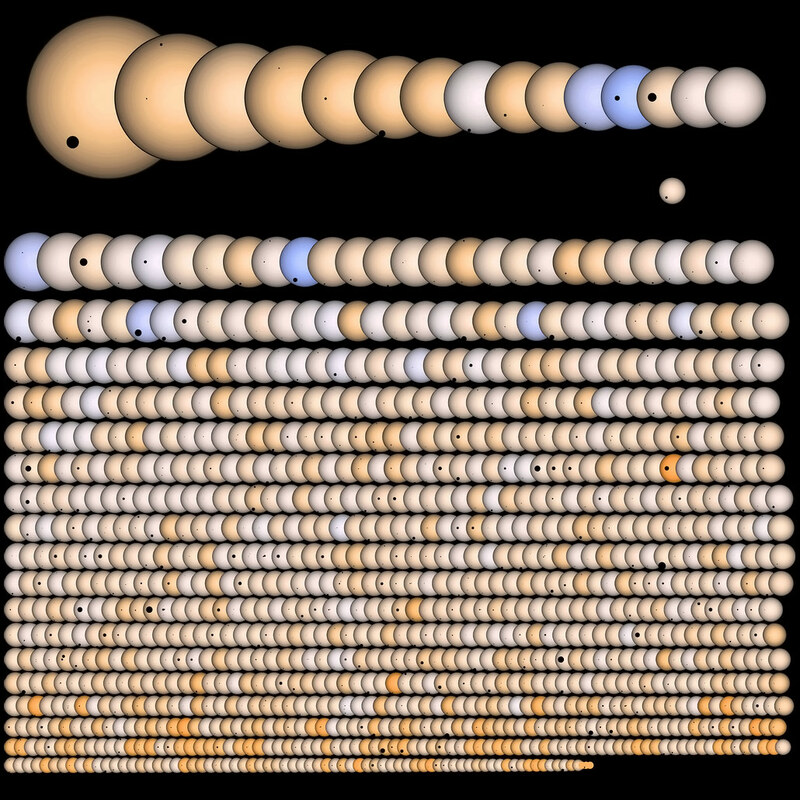 A research team led by Erik Petigura, doctoral candidate at University of California, Berkeley, used publicly accessible data from Kepler to derive this result. Kepler data also fueled another field of astronomy dubbed asteroseismology — the study of the interior of stars. Scientists examine sound waves generated by the boiling motion beneath the surface of the star. They probe the interior structure of a star just as geologists use seismic waves generated by earthquakes to probe the interior structure of Earth. Kepler’s mission is to determine what percentage of stars like the sun harbor small planets the approximate size and temperature of Earth. For four years, the space telescope simultaneously and continuously monitors the brightness of more than 150,000 stars, recording a measurement every 30 minutes. More than a year of the collected data remains to be fully reviewed and analyzed. 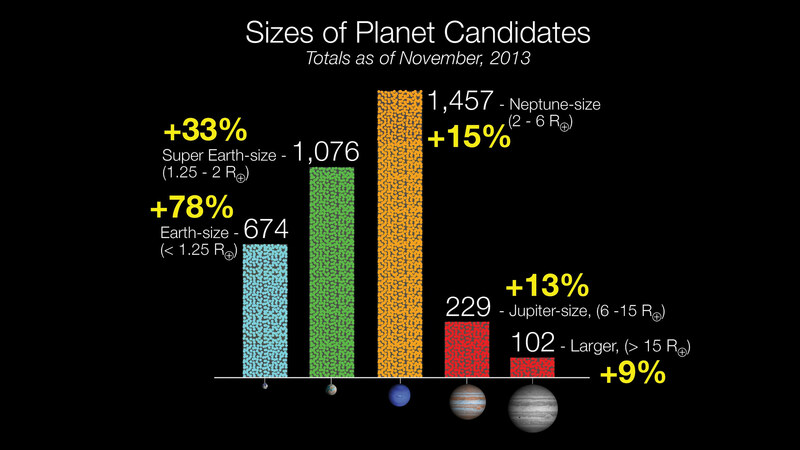 Be the first to comment on "Kepler Data Reveal the Discovery of 833 New Candidate Planets"